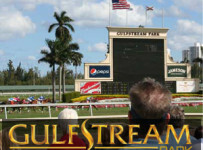 Gulfstream Park and Tampa Bay Downs will both have ten races today. 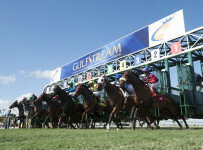 Gulfstream has a first post of 12:35 p.m. The dirt is listed as fast and the turf is listed as firm. Today’s carryover on the Rainbow 6 is $4,341,678. It has grown because Thursday was the 51st straight race day without the jackpot-hitting requirement of just one ticket with the winners of all six Rainbow 6 races. If there are multiple winning tickets again today, there will be a mandatory payout on Saturday of the full Rainbow 6 carryover plus Saturday’s bets on the Rainbow 6. Today’s Rainbow 6 sequence is on races five through ten, starting at 2:35 p.m. The Rainbow 6 is a 20-cent only per combination bet. We will have additional coverage of the Rainbow 6 this afternoon and evening. Three of today’s Rainbow 6 races are scheduled for turf. According to the Weather Channel, there is just a 20 percent chance of rain today in and around Hallandale Beach which is the location of Gulfstream. 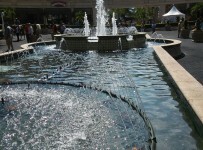 First post today is 12:25 p.m. at Tampa Bay Downs. The dirt track is listed as fast and the turf is listed as good. Three races are scheduled for turf. According to the Weather Channel, there is a 40 percent chance of thunderstorms this afternoon in the area in and around Oldsmar which is the location of Tampa Bay Downs.